I try not to get too much sun, my hobbies take leave me no choice but to be outside longer than I anticipate. This product was the extra protection I needed, along with my tinted broad spectrum elta which provides me a little coverage. The sport doesn't blanket your face white, but does have a little bit that fades/absorbs away. 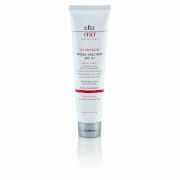 If you use in combination with the tinted you wont worry about that and will have a sun block force. Great for the family too. 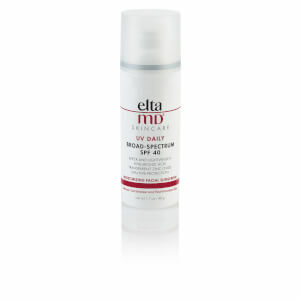 i have been using elta md sunscreen for several years and always get an A rating from my dermatologist! This product is awesome because it has no odor and it protects well. 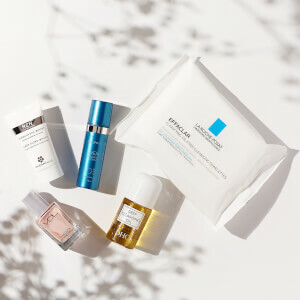 My sensitive skin loves it! 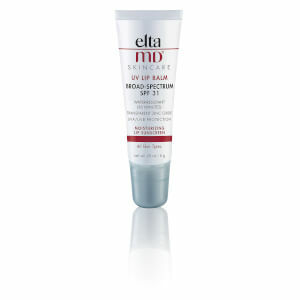 I bought this because I was already using the elta MD UV clear Broad Spctrum 46 for my face and love it because it works so well with my sensitive skin. This sunscreen has 9.0% zinc oxide and no chemical crap in it. I've tried many chemical free sunscreens that claim to rub in transparent and most have left a white chalky color or film on my skin. Not this - rubs in beautifully and leaves no residue. Ive been using this during my trip to Mexico and it has kept my skin protected and I've had zero issues with any skin reactions at all. It's lightweight, odor free, and 100% effective. I'm so glad that I discovered this brand, finally at age 56. Recently I had a fractional laser treatment and BBL on my face, neck and chest and my MD that did the procedure also recommended this brand. It's the only sunscreen for my face and body I will ever use again. You won't be disappointed. I like that this absorbs nicely and doesn't seep into my eyes. Other products feel much heavier and sticky. This one is not. Easy use and does not have ingredients that I am allergic to. Non-greasy and long lasting. I love this very much. I use this product all over my body before heading out to a hike. Best non-greasy sunscreen that doesn't leave stains or stick on clothes. Very hypo-allergenic to boot. Love it! My husband loves this brand of sunscreen. Absorbs fast and doesn't sting his eyes when he sweats during working out. This is a long-lasting sport screen that has no fragrance (a plus) and isn't greasy or sticky. It is expensive so I bought three tubes with an email discount and also saved on shipping. This brought down the price per tube, and I gave 2 as gifts for my sister and a friend. My dermatologist recommended this brand for my facial sunscreen moisturizer. I love it so I've been purchasing this one for my body. It's not greasy and doesn't smell. The tube is light and easy to carry. The coverage is great. I love it.